More than 54 million people across the U.S. are expected to travel for Thanksgiving this week. The holidays are a time for family, reflection and, of course, travel. MassDOT officials joined the Massachusetts Bay Authority Transportation on Monday to discuss travel impacts during Thanksgiving week. "We are expecting as much as a 15 to 20 percent increase in traffic volume," said Massachusetts Highway administrator Jonathan Gulliver. 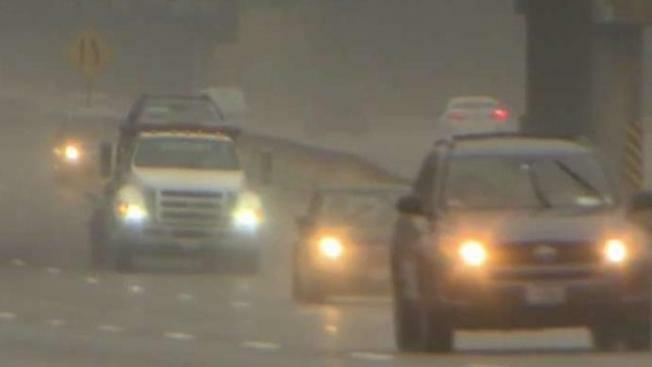 Increased traffic coupled with nasty weather could make for a travel mess. "So we are preparing for a winter he mix tomorrow," Gulliver said. So the Massachusetts Department of Transportation and other state agencies are taking steps to make it safer and easier for to get around. First of all scheduled roadway construction is shutting down and we will only have work cruise mobilized for emergency response," Gulliver said. The High Occupancy Vehicle (HOV) lane on I-93 between Boston and Quincy will have normal morning hours and will extend its hours to be open from 2 p.m., to 8 p.m., on Tuesday, Nov. 20, and from 1 p.m., to 8 p.m., on Wednesday, Nov. 21. The HOV lane will be closed on Thursday, Nov. 22, and Friday, Nov. 23, and will resume normal operations on Monday, Nov. 26. The Sumner Tunnel Swing Lane will open at 1 p.m., Tuesday, Nov. 20, and will remain open until 5 a.m., Monday, Nov. 26. "Massport and TSA will have extra personal assisting passengers," said Acting Massport CEO John Pranckevicius. The state will also be working with local law-enforcement officials to increase safety over the holidays to help curb the increase in traffic accidents. "We provide overtime enforcement bending forward distracting driving which happens throughout the year as well and for seatbelt use and for a lot of the police activities to keep our roads safe," said Director of Highway Safety for the Executive Office of Public Safety and Security Jeff Larason. Check traffic and weather conditions. Allow more time for travel. Turn off or put away cell phones. An estimated 1.5 million people are expected to travel through Logan International Airport this holiday. Be sure to check massport.com for updates. AAA predicts New England will see the highest volume of travelers for Thanksgiving since 2005. The travel associate estimates 2.5 million New England residents will travel for the holiday. Last year, they predicted 2 million.